The majority of youth with mental health needs do not receive therapy services to treat their disorder, and unmet need is particularly high among racial and ethnic minorities and economically disadvantaged families in the population at large. Investigating whether these patterns emerge within systems of care can reveal opportunities to expand therapy access and utilization. 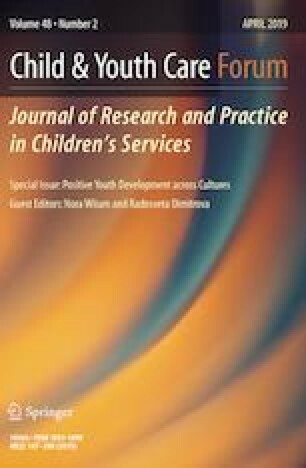 This study examines multilevel predictors of receipt of therapy within the Children’s Mental Health Initiative (CMHI), the largest federally-funded effort in the United States to serve youth with significant emotional or behavioral disturbance, to determine whether disparities in therapy use persist within this specialized population that has been connected to a service array. Using data from 1604 youth aged 10–17 in 33 CMHI-funded system of care sites, the relationship between youth, family and site-level variables and the receipt of outpatient therapy in the first 6 months of service were examined using a multilevel model. Youth who were African American, had caregivers with less education, were in families at or below the poverty level, or lived in sites that served a higher rate of families below the poverty level were less likely to receive needed therapy services after controlling for age, gender, and symptomatology. Despite the CMHI’s success in connecting the majority of enrolled youth to therapy services, treatment disparities persist along racial and socioeconomic lines. These findings identify youth and communities that may require additional strategies and attention to better connect youth to needed therapy services. Thank you to Kirstin Painter, Ph.D., Public Health Analyst at the Center for Mental Health Services (SAMHSA) for her assistance with accessing the CMHI data. This study was supported by a subcontract to a cooperative agreement between the Substance Abuse and Mental Health Services Administration (SAMHSA) and the Illinois Department of Health Services (IDHS). The conclusions are solely the responsibility of the authors and do not necessarily represent the official views of either IDHS or SAMHSA. Authors Aber and Allen have received SAMHSA funding, through the Illinois Department of Human Services Division of Mental Health, to conduct evaluation of a local system of care initiative (State-assigned Grant #D7333). Author Fitts declares that she has no conflict of interest. American Psychological Association. (2014). Demographic characteristics of APA members by membership status, 2014. Retrieved May 15, 2018 from http://www.apa.org/workforce/publications/14-member/table-1.pdf.